This week I’m back in Seoul, visiting with friends, welcoming a new baby, eating delicious food and marveling in the joys of public transportation. 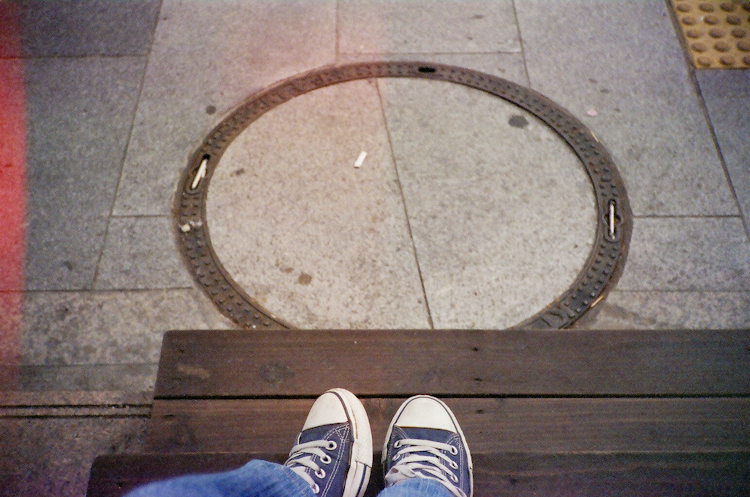 Being here is a good excuse to share with you some photos I took last fall on my friend Youngdoo‘s ailing Rollei XF35. 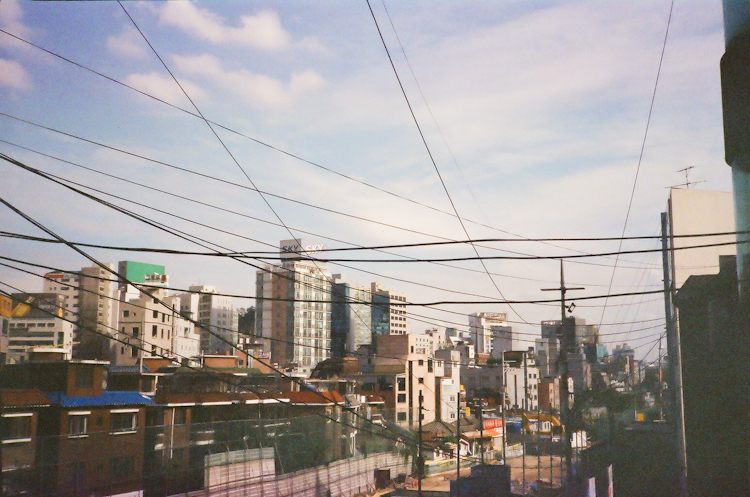 I usually focus my cameras on the prettier details of this city, but during my final weeks in Seoul, I was intent on trying to capture the truer bits around me and the real things I saw every day while living here. Warts and all. This is the marketplace that was behind my building. This is the other view of my neighborhood. You often saw it from this angle, but this is from the ground level. The building with the SKY billboard on top was my building. I lived on the 12th floor for two years, and I loved every minute of it. From the elevator bay in my building, I could look down onto the rooftop of the building next door. 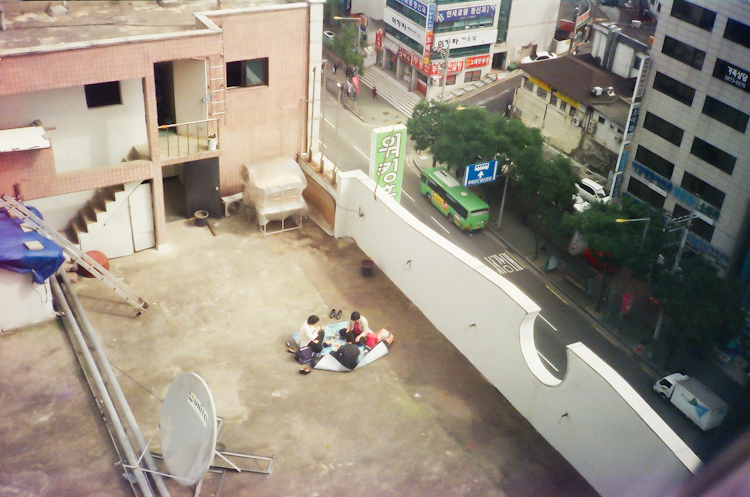 Usually, it was populated with just a few smokers, but sometimes I would find a group of ajummas having a picnic or even a barbeque. It is things like this I love most about Korea. While there are plenty of photogenic bicycles littering the city, there is of course the more utilitarian variety in ample supply. And despite the fashion forward consciousness of this city, there is still the stuff that boggles my brain, like high heeled sneakers. Not that I should be any judge of fashionable footwear. 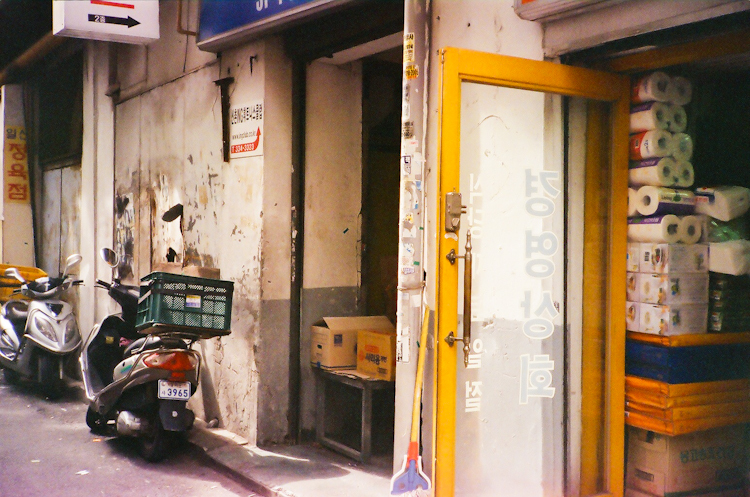 This entry was posted on Thursday, February 24th, 2011 at 11:08 pm	and is filed under Film, Korea, Seoul, The Final Countdown and tagged with Agfa, Rollei. You can follow any responses to this entry through the RSS 2.0 feed. very korean. good job, onni. i like what you captured here, a lot. Steph, your recent posts read like visual love stories about these places. It’s pretty awesome. 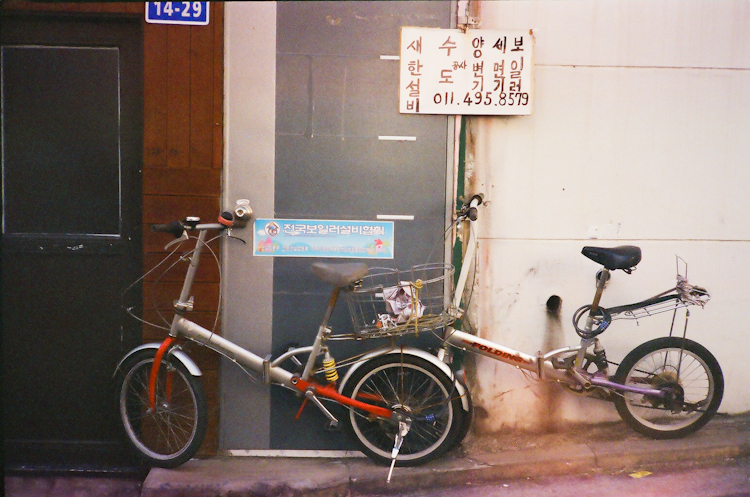 i like these little bits of seoul. The photo of the ajummas on the roof left me with a sudden feeling of wanting. 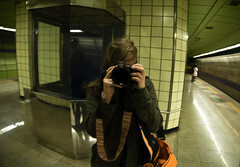 Wanting to be back in Seoul, really. The whole newness and complete strangeness of that place called Asia. Olympic park, pineapple on a stick, sundubu, torrential rain and being lost everywhere, being pushed onto and off the subway, ice-skating in a mall, rollercoaster in a lake and last but not least TwoTwo Chicken at 2 am. Please send a giant sun visor with the tofu snack? I love these type of photos – gives you a real sense of the place. I feel like I was there. I’ve been lurking around your blog for awhile. Just thought I’d say hi. I enjoy reading about your adventures. I hope too that you are safe. your photos look amazing. congrads! The Rollei photos turned out perfectly! It makes me want to visit Seoul again soon. :) I hope everything’s alright in Tokyo.. Thank you, Sewon! Makes me feel the same. Sounds and looks a great and full week. I love seeing the similarities and differences in the worlds cities – these are great!